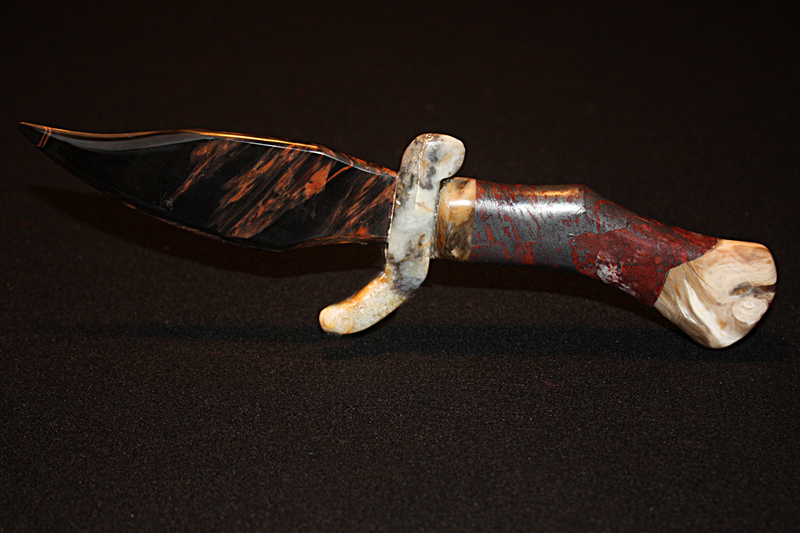 The rich reds and yellows of mookaite are hand polished to perfection for this 4.5″ knife blade. 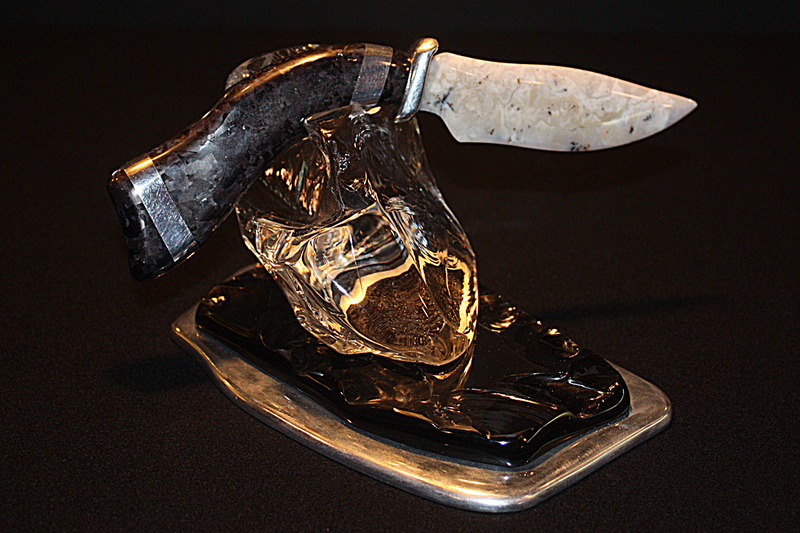 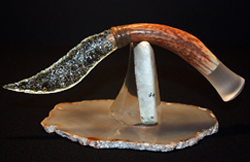 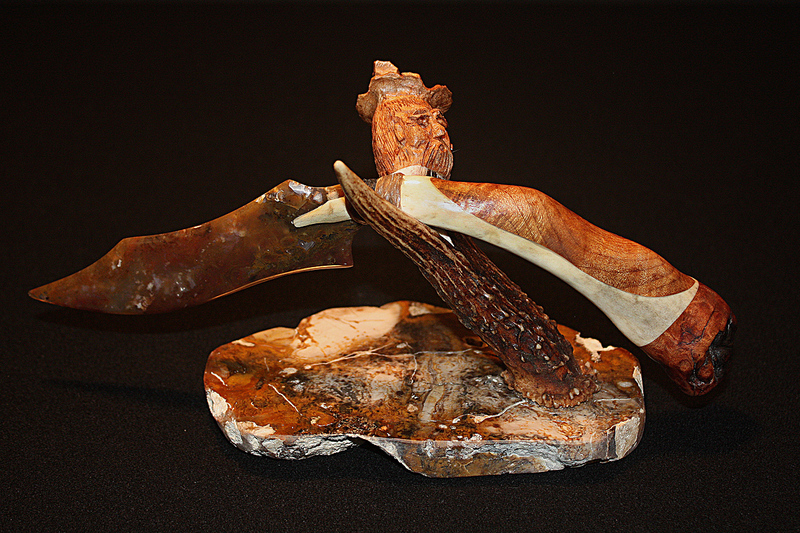 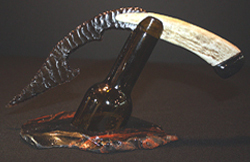 A 4.5″ deer antler handle is hand carved and completes this beautiful sculptured knife. 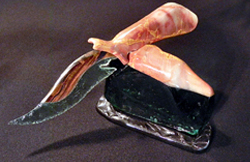 The overall knife length is 9″ and is signed by the artist, who also includes a certificate of authenticity. 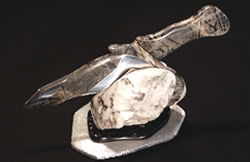 This unique sculptured knife is a perfect addition to your knife collection.